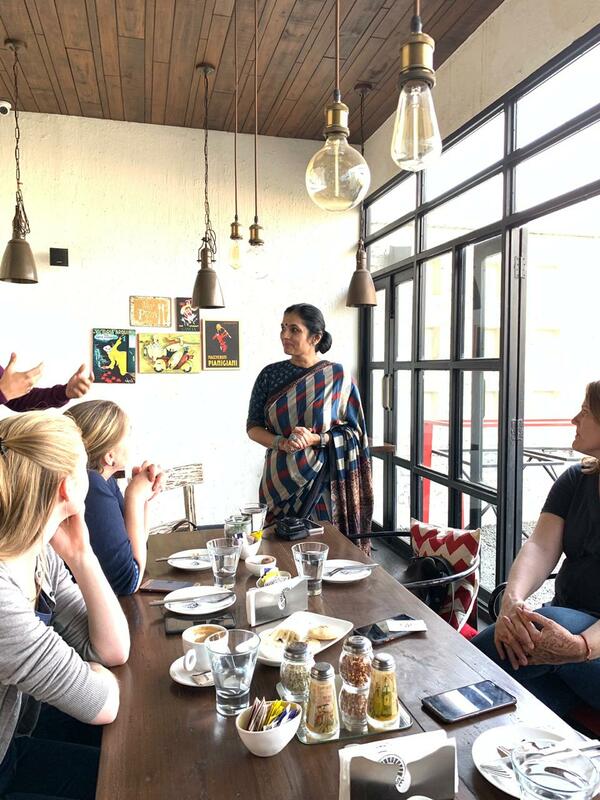 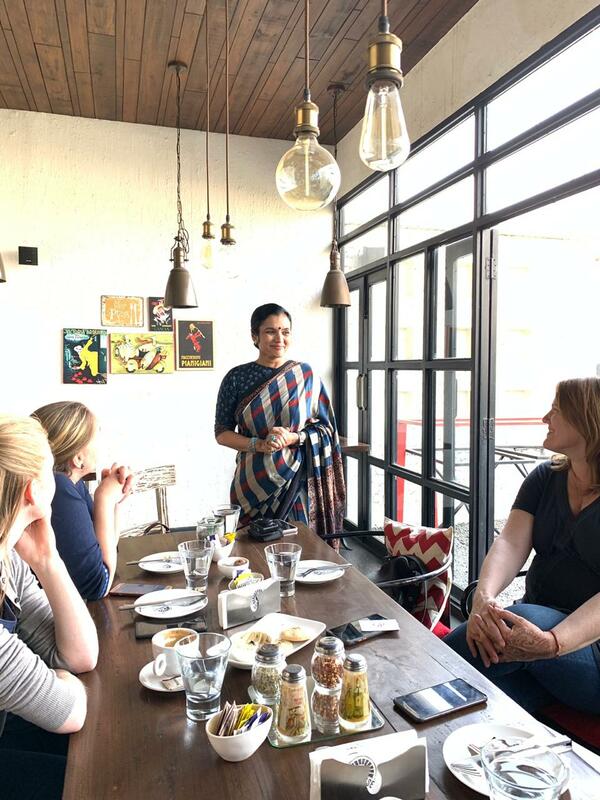 A popular saree brand had collaborated with Internations and invited few saree aficionados (including me) to teach the expats how to drape a saree. So here are few glimpses from the same event. 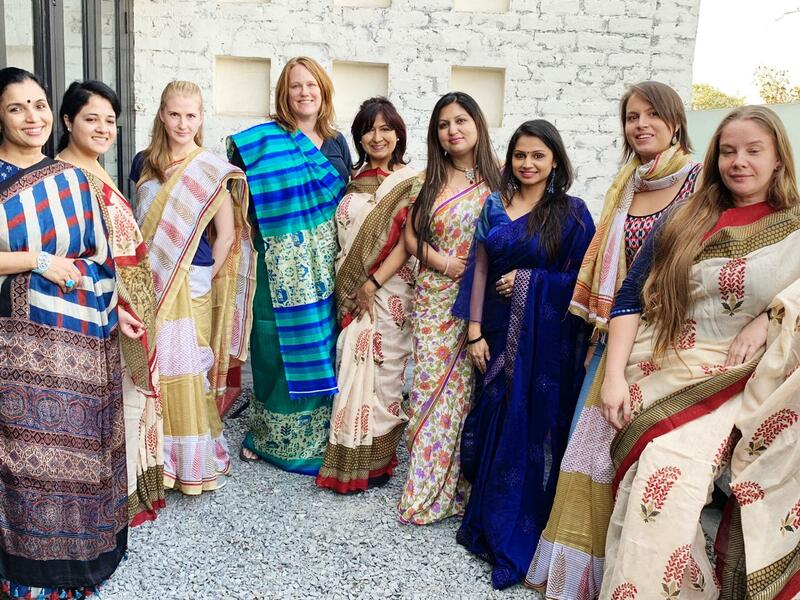 I wore my Ajrakh saree that I have previously worn here. 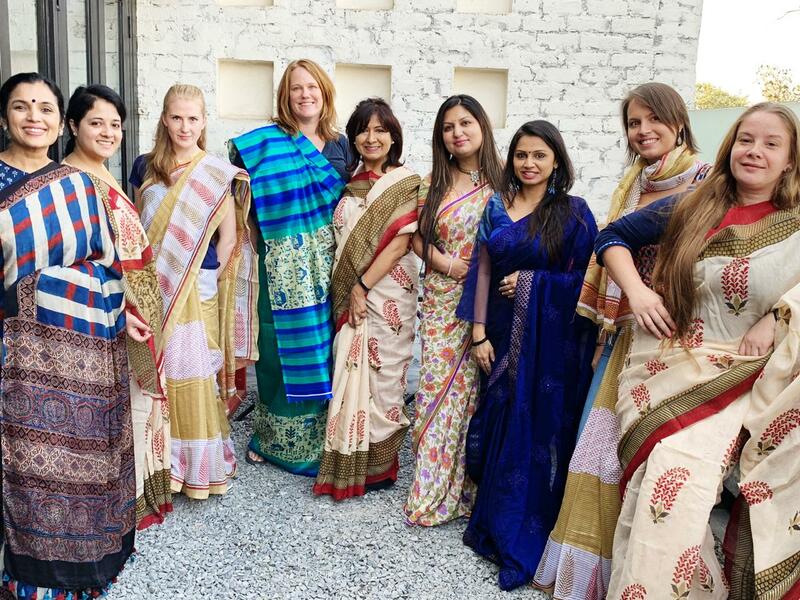 I love that it is unusual with checks and very intricate and detailed ajrakh work on border and pallu.